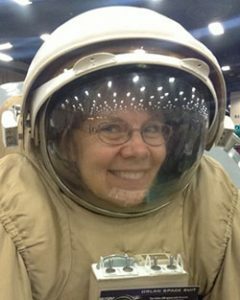 Science fiction with actual science and a sense of wonder is a way to address the Big Questions—as is theology. The intersection of the two is a compelling place for me. Here I list my published science fiction, as well as fantasy, horror and mystery. The final journey of the starship Aeon has reached yet another world—a hopeful new beginning after the disastrous events in Downfall Tide. 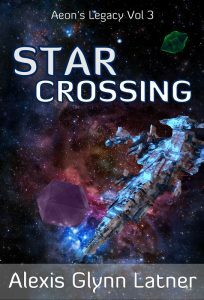 In Star Crossing, the children of Aeon encounter wonders and terrors, aliens and friends, in a place stranger than anything they ever imagined. It’s like a Bermuda Triangle in space . . . half as old as time. But even here, faith and hope endure, and love is stronger than death. It’s been twenty-four years since the events in Hurricane Moon. Much has changed, thanks to unremitting hard work by the first generation of explorers to build a new civilization on Planet Green. Unknown to them and their children, everything is about to change. On a mission to find a new world and found a new civilization without repeating Earth’s past mistakes, the starship Aeon reaches a mild green planet with an oceanic moon veiled in hurricanes. Aeon’s astronauts and scientists soon plunge into a season of crisis. They face death and love, discovery and disaster with no going back–and no certainty that humanity has a future on Planet Green with its hurricane moon. My e-book novella A Pillar of Stars by Night consists of three novelettes originally published in Analog magazine, now combined into one story. By the late 21st Century, Earth’s ecosystem may be damaged beyond repair. Two young life scientists struggle with the decision whether or not to join an exodus to a new world on the other side of the stars. Their skills will be critical in creating a new ecosystem on a barren colony world. But no one knows whether such an undertaking is even possible. To try and fail would mean the death of every hope and every hopeful colonist—unless something utterly unexpected changes the odds. A Pillar of Stars by Night and my other e-book stories are available here. My story “The Listening-Glass” appears in Diamonds in the Sky, an anthology of astronomy-based science fiction funded by the National Science Foundation and edited by astronomer and science fiction writer Mike Brotherton. BLU 97-032D was published in Analog, June 2004. 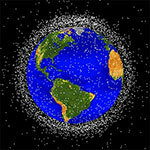 Images courtesy NASA-Johnson Space Center. “Wilbur’s White Glider” appears on the Web site for a transcontinental sailplane race called Return to Kitty Hawkin 2003. I have a some copies of these magazines and anthologies. Please contact me about obtaining an autographed copy. “Dragon’s Tooth” appears in the anthology Dragon’s Hoard, edited by Carol Hightshoe and published by Sky Warrior Books, and the central action involves a sailplane. “The Hall of the Cavern King” appears in the anthology These Vampires Don’t Sparkle, edited by Carol Hightshoe and published by Sky Warrior Books. My novelette “Quickfeathers” appeared in the May 2009 issue of Analog. 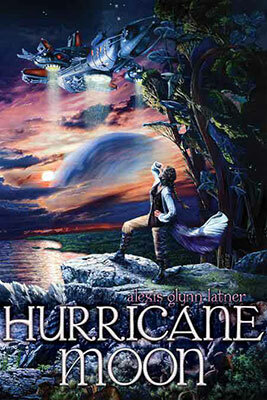 “Quickfeathers” is a sequel to my novel Hurricane Moon. “Stone Man” was published in Twisted Tales of Texas Landmarks, an anthology of short stories written by members of the Houston writers’ group The Final Twist, published by L&L Dreamspell, October 2010. My ghost story “Charity” appeared in the 2010 paranormal anthology Ghostly Dreamspell published by L&L Dreamspell. “Grass Lion,” a fantasy story, appeared in the February-April 2008 issue of the online magazine Sorcerous Signals. It was anthologized in Arcane Whispers Volume 2 – the Best of Sorcerous Signals 2008.